Pre-school education centre The Little Skool-House has 11 locations in Singapore, including one at Delta House (2 Alexandra Rd). 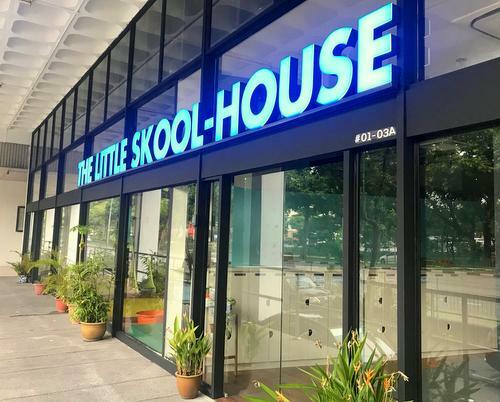 Established in 1994 to meet the growing demand for quality premium pre-school bilingual education, The Little Skool-House has branches conveniently located island-wide. Each location provides childcare programs for children aged 2 months to 6 years old. Their programme for the younger children focuses on secure attachment, leading to confident children while their preschool programme utilises quality children’s literature as a key medium to enable children to develop life-long learning skills. Due to the company’s commitment and track record in delivering quality early childhood education, they are a preferred partner of government ministries, tertiary institutions, hospitals, and private corporations. The official The Little Skool-House Facebook brand page is available at www.facebook.com/littleskoolhouse/. Following the Facebook page, you’ll receive updates about the centres’ programmes, events, and much more.